Mobile author John Sledge harbors great passion for his Southland, and he shares those sentiments with the same vibrant prose he imbued in his hundreds of Mobile Press Register book reviews and four tomes covering Mobile’s architecture and history. 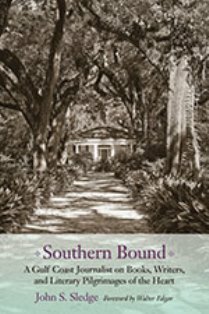 In Southern Bound, Sledge offers past reviews of books ranging from novels that inspired the movies Shane and True Grit, to Winston Groom’s Civil War history, Vicksburg, 1863, and classics such as Joseph Conrad’s Typhoon and Plato’s Dialogues. 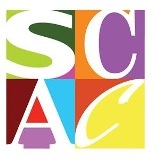 He also presents exquisite mediations on diverse subjects such as the connection between Oxford, Mississippi, and her many famed authors from Faulkner to Grisham; Greenville’s literary history involving the Percys, Footes, and Carters; and the relationship between Savannah and John Berendt’s novel, Midnight in the Garden of Good and Evil. Unexpected treats include one essay titled, “William Faulkner and the Tangible Past,” revealing the author’s utilization of Greek Revival architecture “to evoke mood and ambiance, to demarcate caste and class…” and his disdain for more modern architecture like Queen Anne, which he considered “overdone and vulgar.” Two other essays give new meaning to the word “whimsy.” “George and Lennie Feeling the Squeeze” is Sledge’s humorous column offering a fictional conversation in Lucedale, Mississippi, between the protagonists of John Steinbeck’s Of Mice and Men, decrying the George County Board’s decision to censor that novel, while “Oscar Wilde” presents a “conversation” between Sledge and the Irish playwright, “wit and aesthete,” on how the latter felt about his newly minted action figure and the fame that led to such a “compliment” by posterity. Sledge fills this marvelous collection with a variety of different takes on the South: an impassioned open letter plea to Louisiana Governor Bobby Jindal to forgo closing the venerable LSU Press that gave us A Confederacy of Dunces; heartfelt memorials to Shelby Foote, Eudora Welty, Willie Morris, Norman Mailer; and George Plimpton; and paeans to Mary Ward Brown’s fiction set in Alabama’s Black Belt Region and Sherry Pace’s photographic coverage of Mississippi’s Victorian architecture. Jim Fraiser is a federal administrative law judge, freelance reviewer, and the author of four novels and eleven non-fiction books about the history, architecture, and culture of the Deep South. He resides in Madison, Miss.